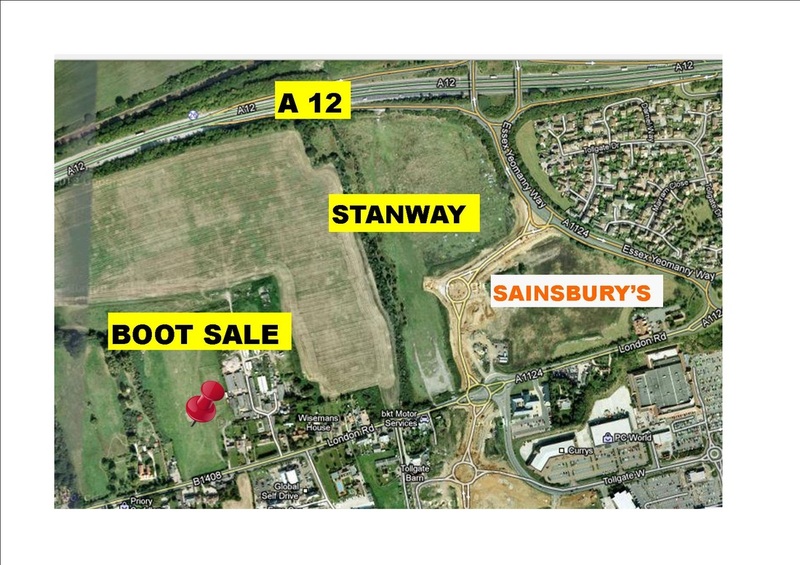 Stanway Car Boot Sale The Boot Group organises fantastic, family friendly and very busy Car Boot Sales in Essex on Wednesdays, Saturdays and Bank Holiday Mondays. While the planning application for Sundays at MARKS TEY is being decided we have moved to this site so you still have a Car Boot Sale on this side of town. Chris - The Boot Group.